*Due to regulations, the sq ftg in the bsmt cannot be counted as heated living space even though it is heated & cooled. * Renovated Brick Bungalow within walking distance of all the amenities that Viewmont has to offer. Main level has refinished hardwoods and tile in Kitchen and Bath. There are 2 Bedrooms w/potential for one more and one Bath on the main floor. An enclosed porch off the Kitchen houses the laundry area & leads to the basement with lots of storage and potential. 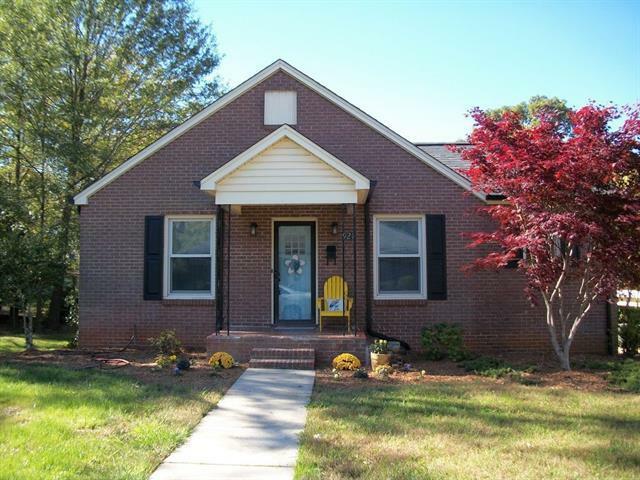 There is an additional Bedroom/Bonus Room and 1/2 bath in the basement area. This home has tons of character on a quiet street, yet close to restaurants and other stores. The storage space in the basement area would make a great workshop or craft area. Lots of storage in the crawl space area. Spacious, flat backyard great for outdoor entertaining. Shared driveway.